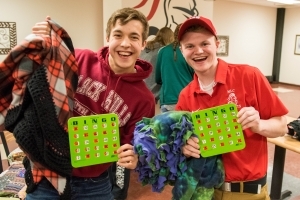 The MLC Ladies’ Auxiliary is once again sponsoring a BINGO Night for all MLC students. This highly anticipated evening is Thursday, February 21, in the MLC Cafeteria Conference Center. The ladies will provide snacks and a variety of gift prizes. The most coveted prizes are the homemade items, such as pies, cookies, and bars. Equally appreciated are the many gift cards purchased through cash donations. If you wish to contribute to this event, please email mlcauxiliary@mlc-wels.edu or call 507-354-8221.